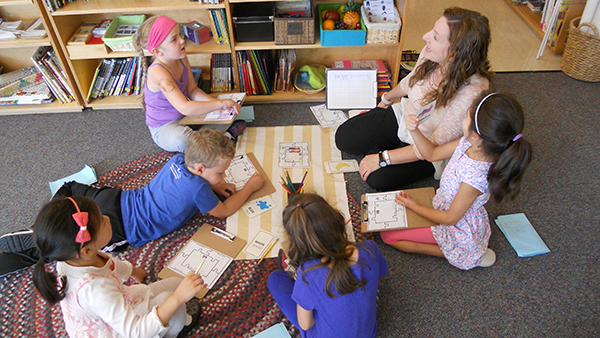 One of the most incredible aspects of the Montessori Method is the integration of subjects to make a cohesive learning experience. Oak Hill takes this concept to another level for students by enriching learning through Music, Physical Education, Spanish & Visual Arts. At first, children experience art through exploration of the art shelves in their classroom environments. 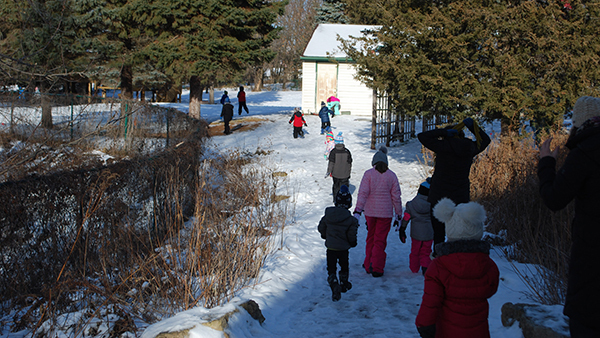 When students reach Kindergarten, they begin creating and exploring in our art studio. 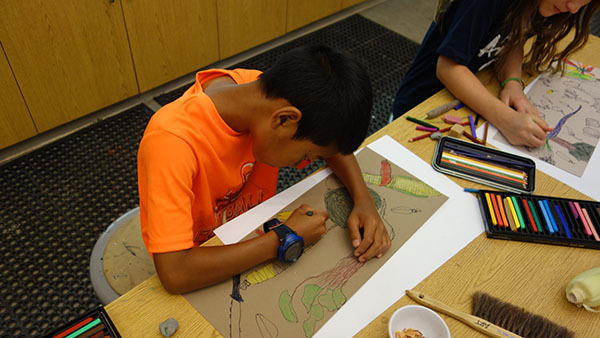 Oak Hill utilizes the TAB method for art instruction (teaching artistic behavior). This approach brings the element of choice to the art studio, and provides students the freedom to explore mediums that can be both exciting and, at times, frustrating. 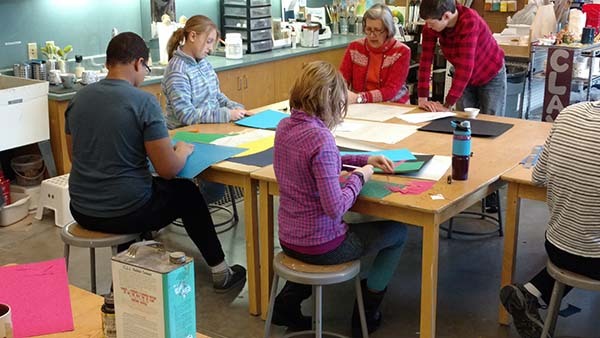 As students grow older, the lessons become more focused on the elements of color, line, shape, texture and space to keep pace with each student’s increasing skill development. From drawing and painting to sculpture and textiles, students are provided opportunities to learn new skills and stimulate the artistic side of their personalities with the guidance of our studio art specialist. 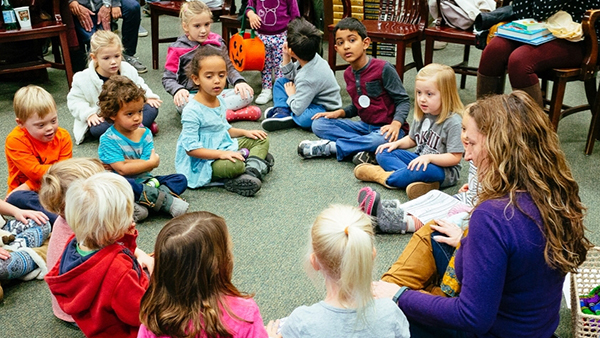 Musical concepts are introduced and reinforced from the Toddler Community through Junior High. 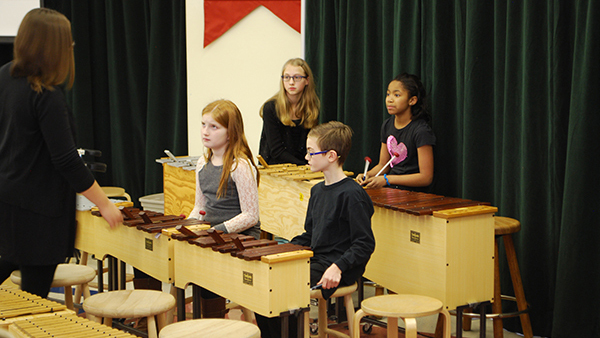 Using the Orff Schulwerk method, musical concepts come alive through games, songs and instrumental experimentation. As students expand their capacity for knowledge, the music curriculum grows with them. Rhythmic notation, tonalities of a scale, iconic music reading and solfege syllables (do, re, me) expand their musical understanding. 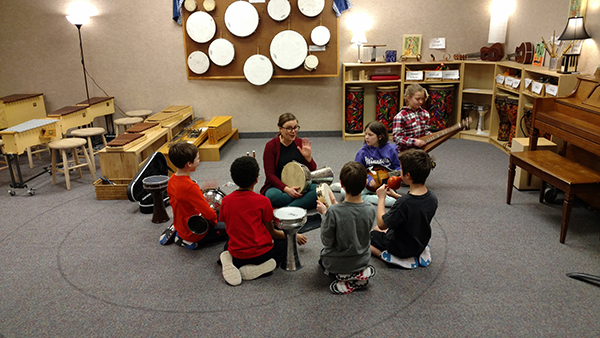 Instruments including xylophones, dulcimers and percussion are available for students to incorporate musical concepts into songs they can perform. As the students reach elementary and Junior High, the elements of harmony, tone and expression are added and refined. Students in these levels often perform their own arrangements of songs which coincide with topics they are studying in the classrooms. At the older levels, ensemble type rehearsals are performed to act as a bridge to the next levels of a student’s musical education. Above and beyond the daily recess children of all levels receive, Kindergarteners and older participate in weekly physical education classes. The main goal of physical education at Oak Hill is character development. Through games and sport, the concepts of sportsmanship, respect and integrity are delivered. The freedom the physical activity provides lends itself perfectly to nurturing positive traits in young people. 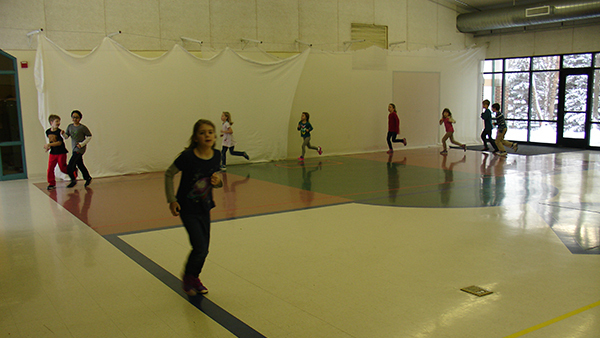 As a large group collaborative effort, physical education reinforces focus, discipline and conflict resolution. Through activities such as volleyball, racquet sports and even yoga, students are provided valuable skillsets to develop both the body and the mind. The Spanish language is integrated into the classroom setting beginning in the Toddler Community. The younger years focus on listening to the language, and speaking words and phrases designed for that age range. Cultural awareness also plays a large role in the delivery of Spanish at all levels. By the time the students reach Junior High, they are prepared for a more robust exposure to the language. The tactics of repetition, games, songs and storytelling are used to reinforce the building blocks of a second language. While most children won’t become bilingual or even fluent speakers, all students are provided the opportunity to enhance the brain’s language capacity.